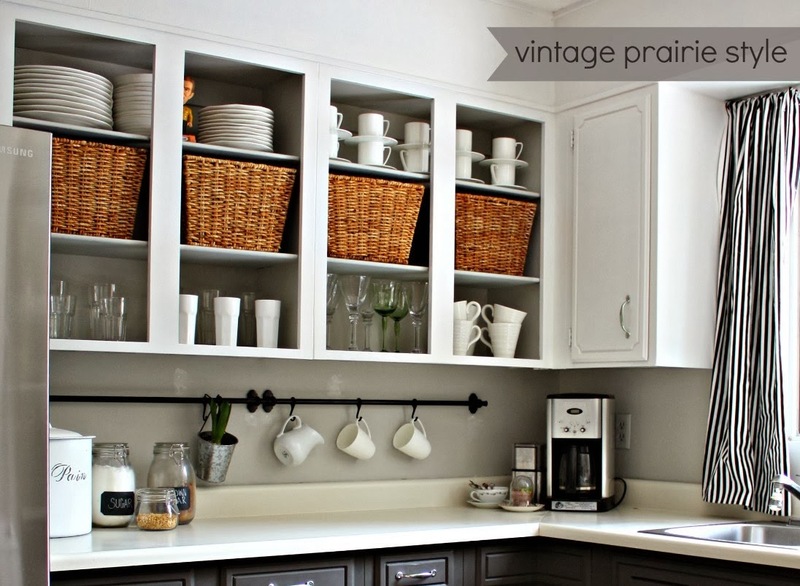 I just love this kitchen from Vintage Prairie Style! 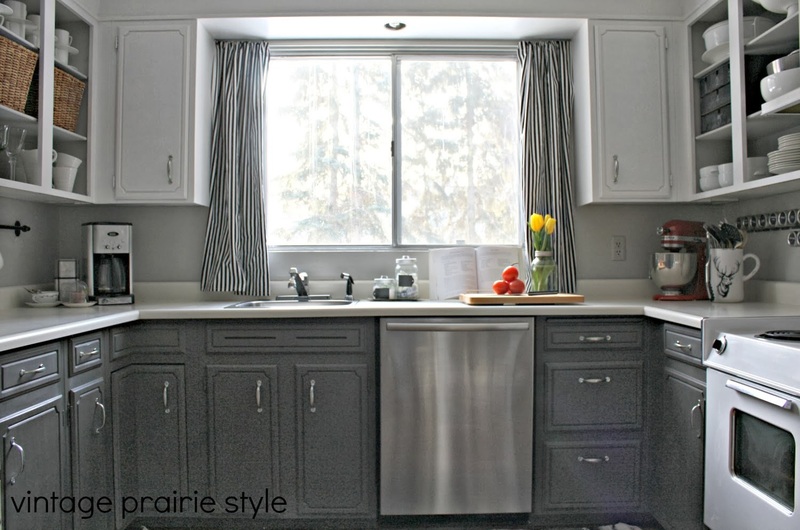 Keya proves that you can work with what you have and create a gorgeous kitchen on a budget. Amy from Home Happy Home took advantage of a few snow days and gave her bathroom a fresh new look! 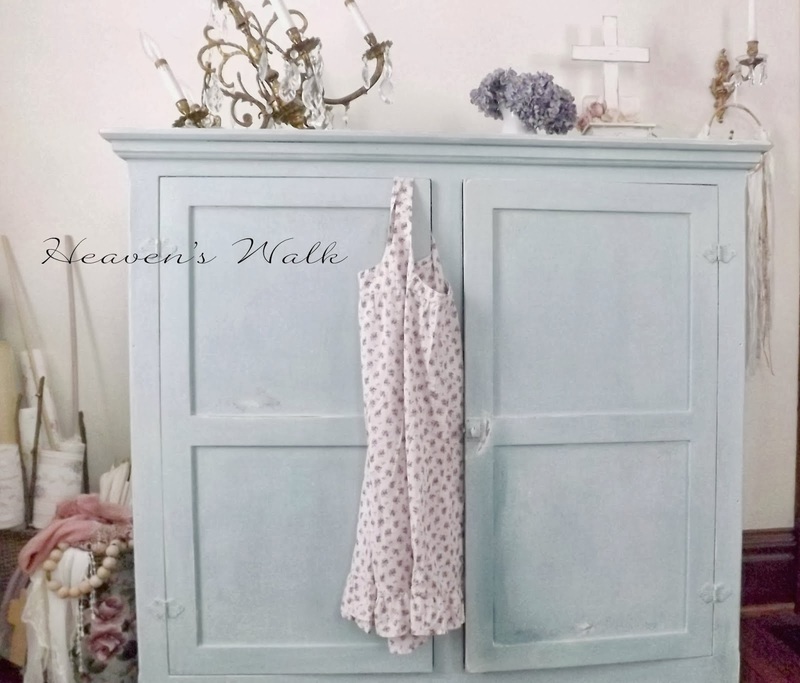 Laurie from Heaven's Walk created a beautiful aged finished on this brand new cabinet! 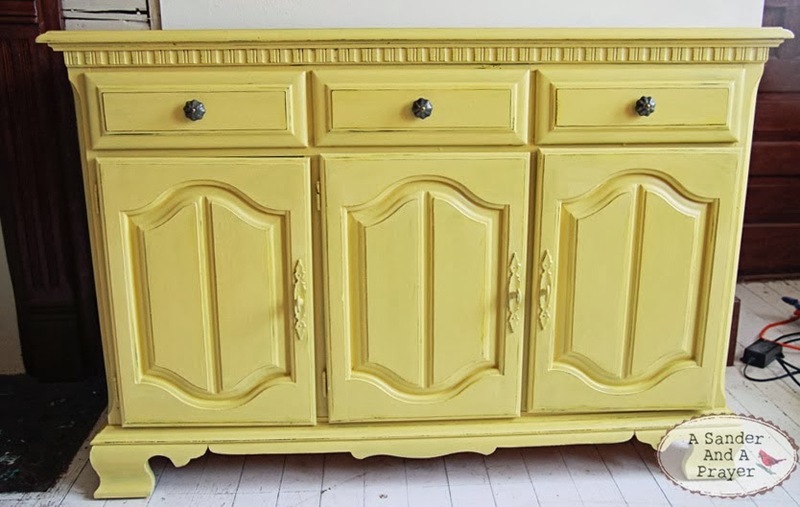 How pretty is this sunny yellow media cabinet from A Sander And A Prayer! Love the color and the place setting painted on the tray of this vintage high chair from Namely Original! 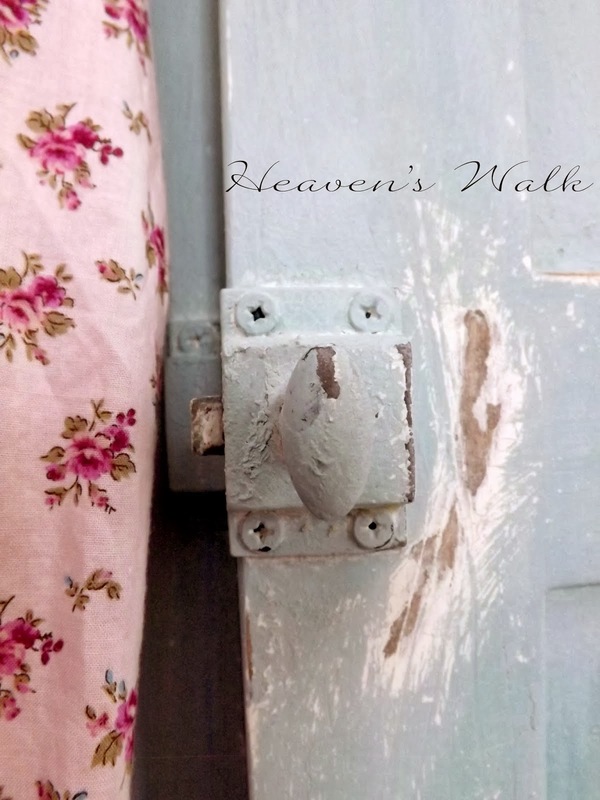 Robin from Happy At Home shared all the details for her rustic bead-board box. 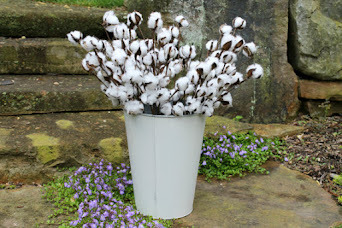 It creates a wonderful centerpiece, don't you think! 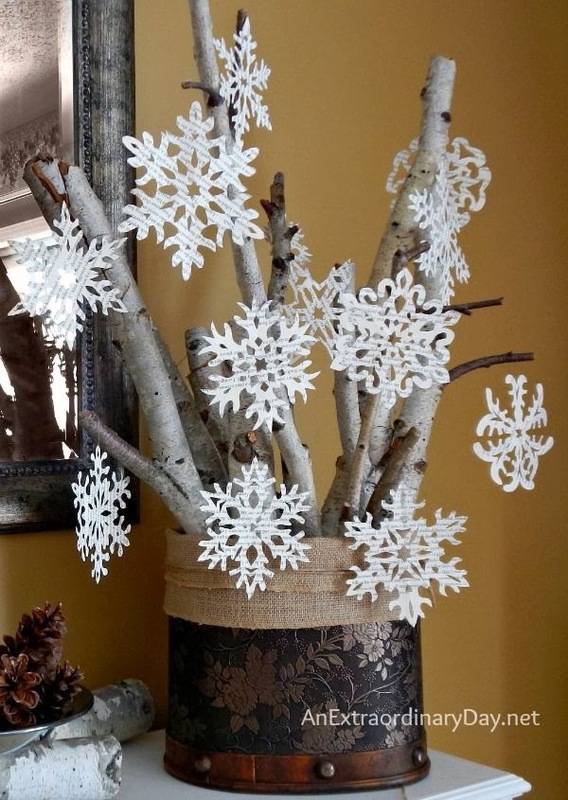 Diane from An Extraordinary Day created a beautiful winter mantel featuring book page snowflakes! Not only do these red velvet madeleines from Twigg Studios look delicious, but Aimee made the concrete platter from a silicone tart mould - I want one! 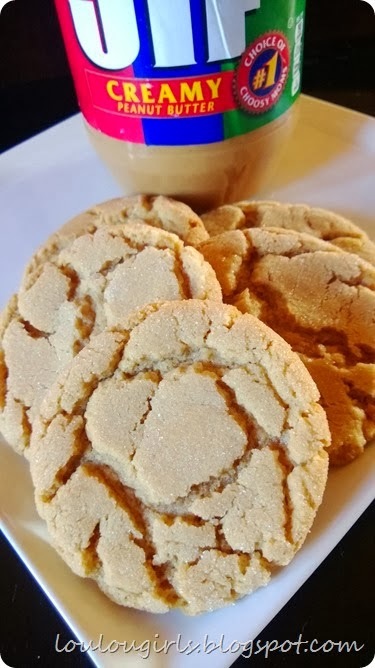 Kimberly from Lou Lou Girls has been on a quest to find the very best peanut butter cookie and she has decided that this is the one. Now you know I'm going to have to give these a try! Beautiful features! I love the color of that high chair and the kitchen you shared is lovely. Thanks for hosting. 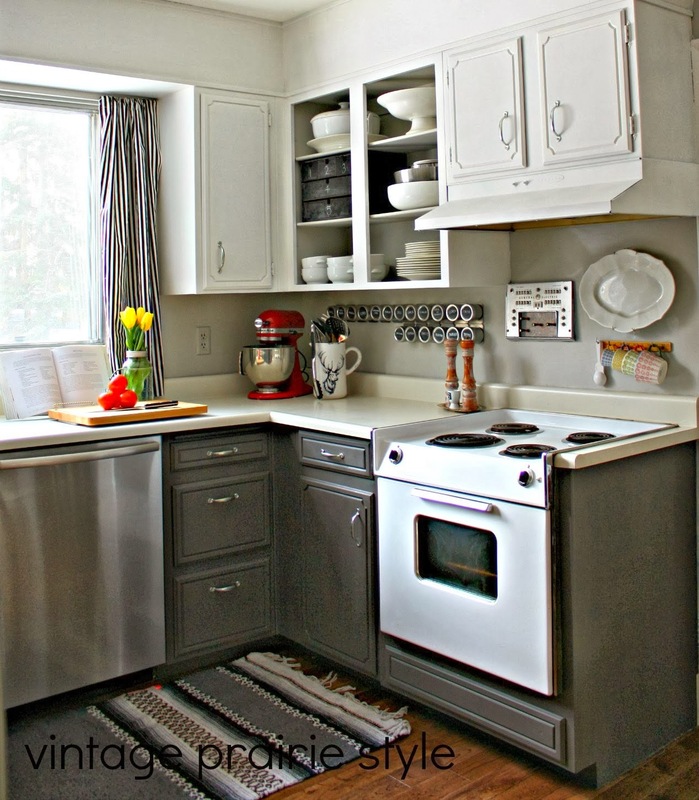 Keya's kitchen makeover really does prove that you can take something ordinary and make it extraordinary. What a beautiful transformation. Sharon...thank you so much for blessing me with a feature. I am truly grateful! Best wishes for a day filled with extraordinary moments! Thank you for hosting Sharon! I LOVE that high chair! Thanks so much for hosting! More snow for us too, Sharon! 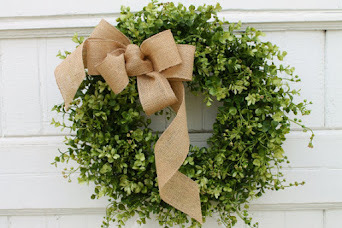 Spring wreaths sound dreamy! Thanks for the party! Thanks so much for hosting Sharon!! Love the high chair...and that cement platter is awesome!! Thanks so much for featuring me Sharon. What a great surprise! 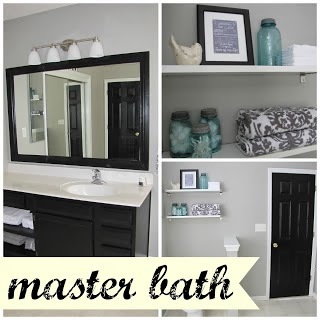 Thanks so much for featuring my master bathroom this week! Thanks for hosting as well I look forward to seeing all your features every week. Lou Lou Girls' beautifully styled food pic is so pretty! Thanks so much for hosting, Sharon. Have a lovely week! Hi Sharon...wow great features this week! I am crushing on that yellow media cabinet...so in need of pretty spring colors right about now! Thank you so much for hosting and wishing you a wonderful week! great picks! 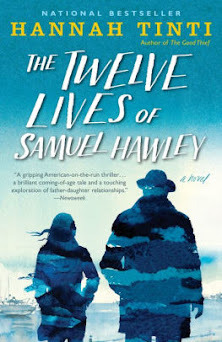 i love that cabinet from heaven's walk! I LOVE that kitchen! Great picks this week. Thanks for hosting! Hi Sharon, just found your link party. Happy to be joining in! 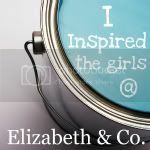 Now following and I also love your pretty burlap wreaths with the nests! I love that two of my favorite gals are featured today! Thanks for the party!